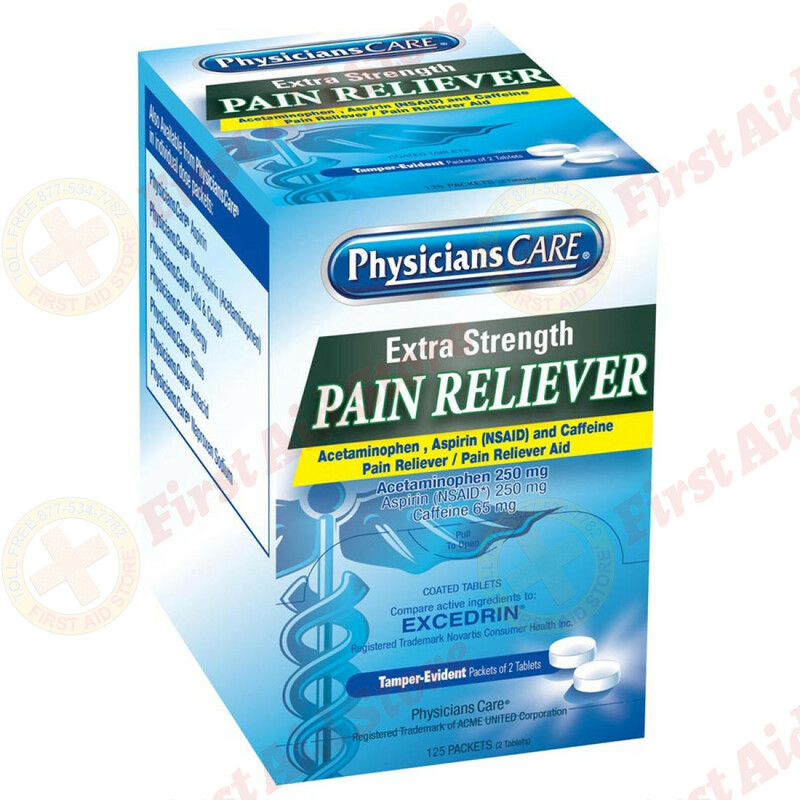 Comparable to Excedrin, our extra-strength pain reliever provides temporary relief from the pain and pressure of headaches, sinusitis and toothaches. 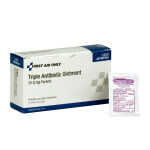 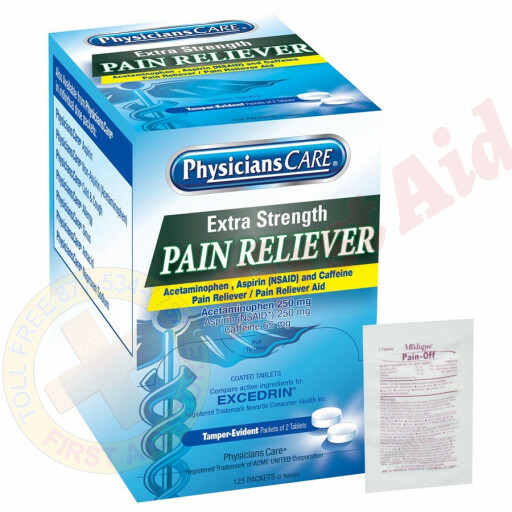 Also relieves discomfort caused by minor arthritis and rheumatism pain, hangovers and aches associated with cold and flu. Active ingredients: Acetaminophen, 250 mg.; Aspirin, 250 mg.; Caffeine, 65 mg. 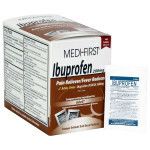 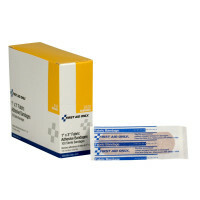 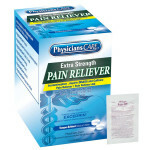 The PhysiciansCare Extra-Strength Pain Reliever Tablets - 250 Per Box.